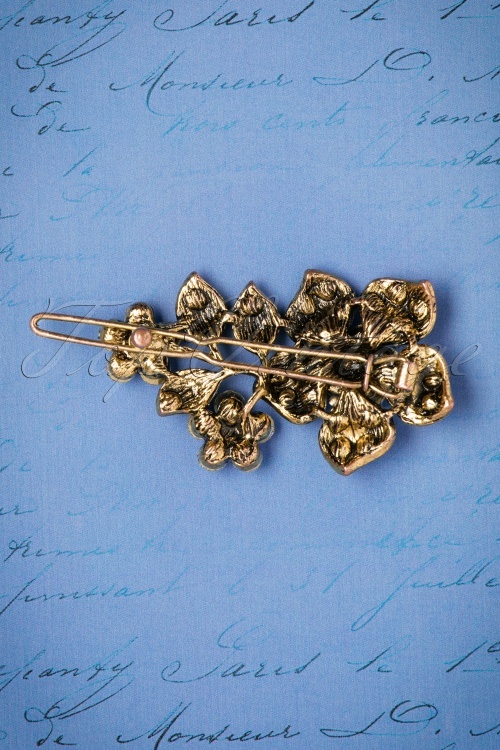 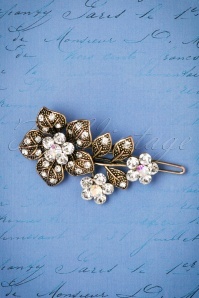 Who needs fancy hair products when you can wear this 20s Bouquet Of Roses Hair Clip?! 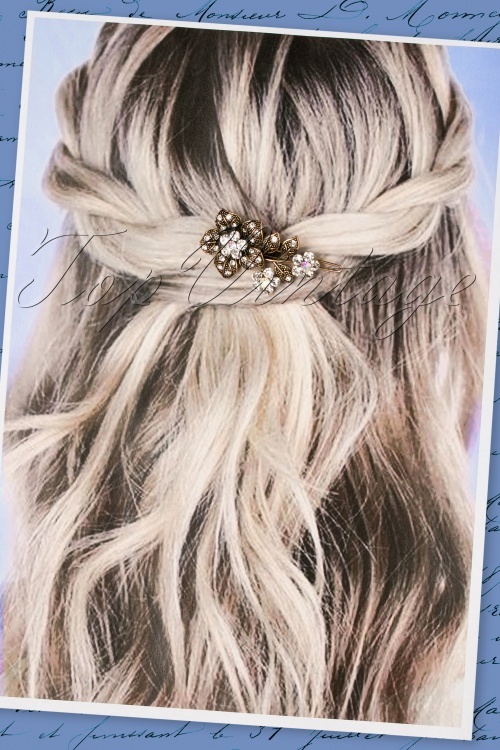 This stunning vintage inspired design makes your hair shine like never before. 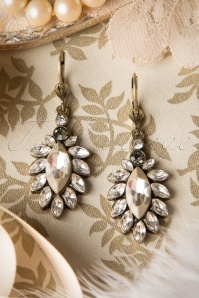 Graceful, sparkling and super elegant thanks to the antique gold toned metal covered with shiny rhinestones and stunning facetted stones. The size of the hair clip is PER-FECT for ladies with shorter tresses or to hold a section of your hair together at the side or back to give your locks some timeless elegance and vintage glamour… enchantingly beautiful!